ADCO Diamond | Satin Wedding Band with Polished Edges. Satin Wedding Band with Polished Edges. 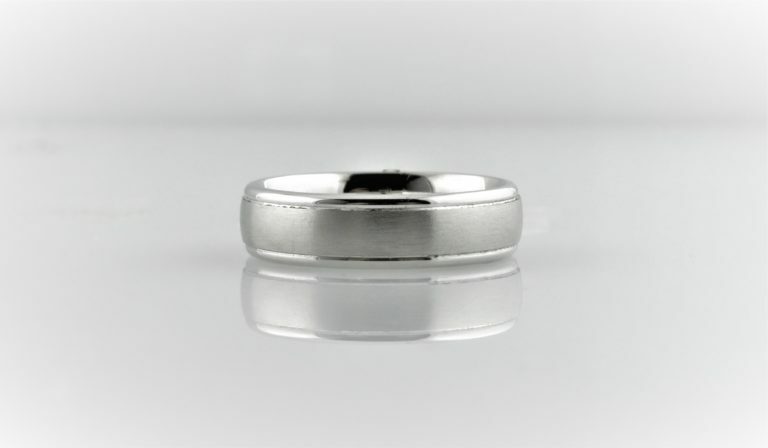 6mm wedding band with center satin finish and polished rounded edges. Size 10. Can be ordered all polished.